Most patients start to notice in their 30’s and 40’s changes in their lower eyelids that they don’t like. This can be bags, wrinkles, hollows and dark circles. 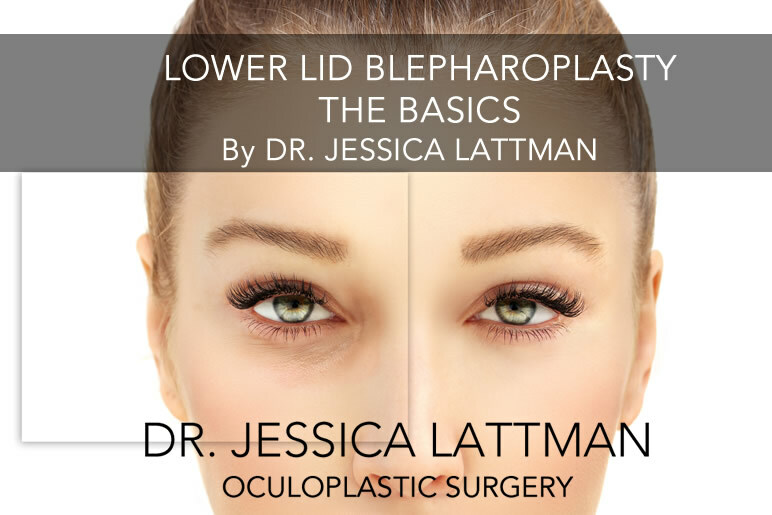 Lower lid Blepharoplasty is an excellent way to address these changes. Lower lid Blepharoplasty is an outpatient procedure that is done in my private surgical suite. You go home the same day, and recovery is relatively quick and easy. There are two approaches for the lower lids. One is called a sub-ciliary approach. This involves an incision just under the eyelashes. The other is a trans-conjunctival approach where all the work is hidden and done from the inside of the eyelid. I will discuss both in detail with you and will choose the approach that best fits your goals and lifestyle. Non-surgical procedures to rejuvenate the lower eyelid include injectable fillers, Botox and laser skin resurfacing. For some patients this is the right place to start. For others surgery is the best approach. If you see changes in your lower lids that you don’t like. The best way to start is to come in for a consultation. Together we will look at your lower eyelids, discuss your goals and expectations and choose a procedure that is right for you.